There is nothing as good as natural light. 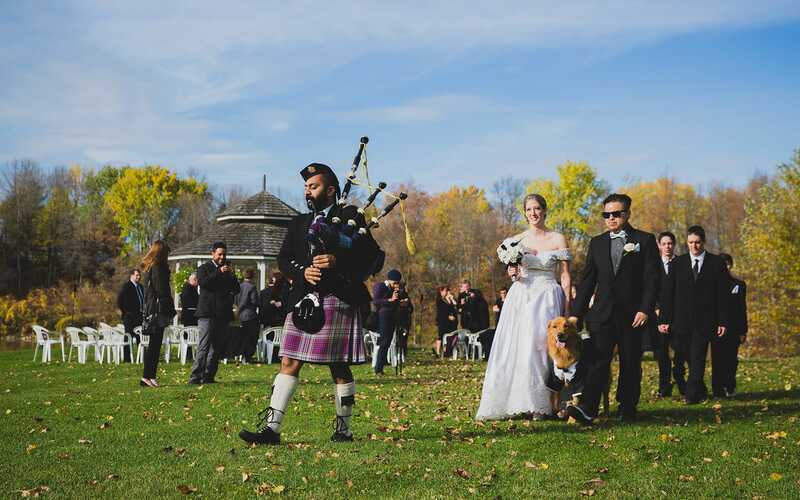 Outdoor Weddings are a growing trend in Toronto. 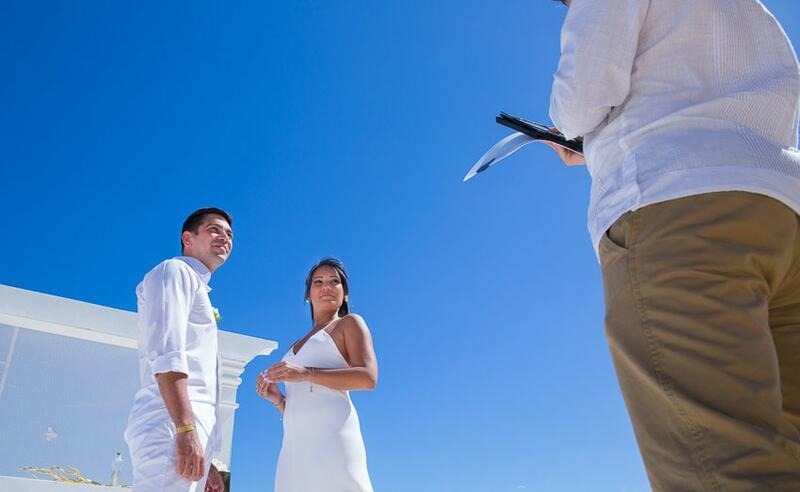 Outdoor ceremonies provide that clean light, which assists in capturing beautiful landscapes. 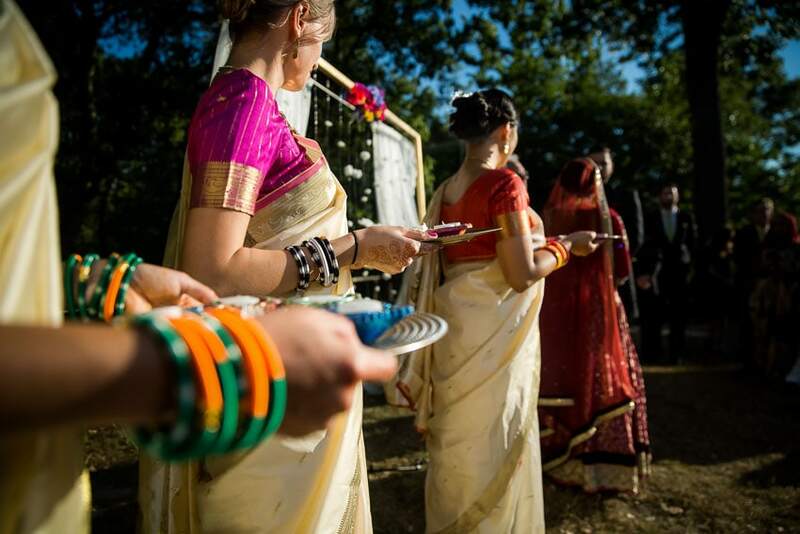 Nothing beats the beauty of naturally lit ceremonies. 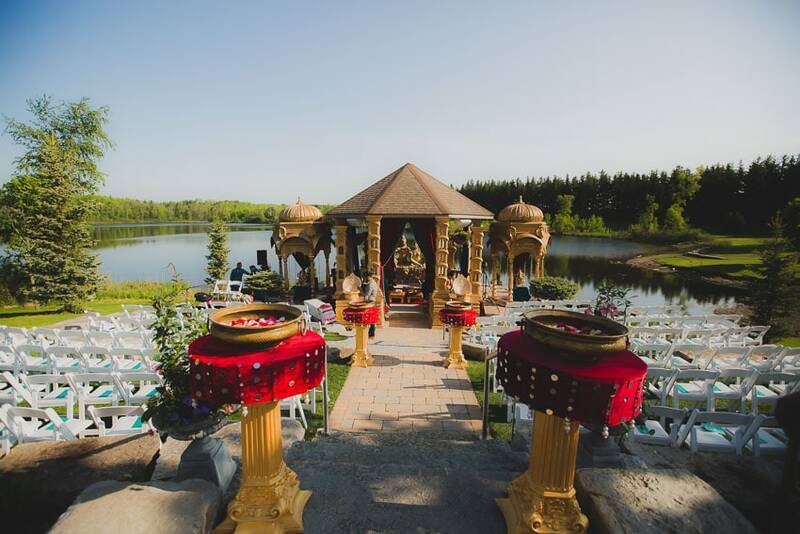 Outdoor wedding venues add an extra spark to the occasion. 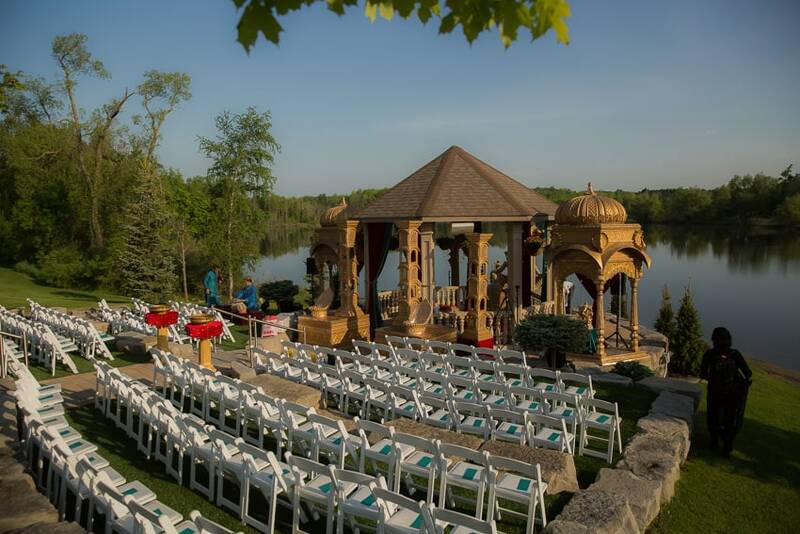 Outdoor venues can be picked based on the ceremony mood. For architecture based venues such as Hart's house, Benares Historic House or Casa loma in Toronto/Mississauga area are great. These venues have beautiful indoor setups to rely on in case of bad weather.. Canadian weather can be grappling, reason you can never know anything prior to 24 hours. 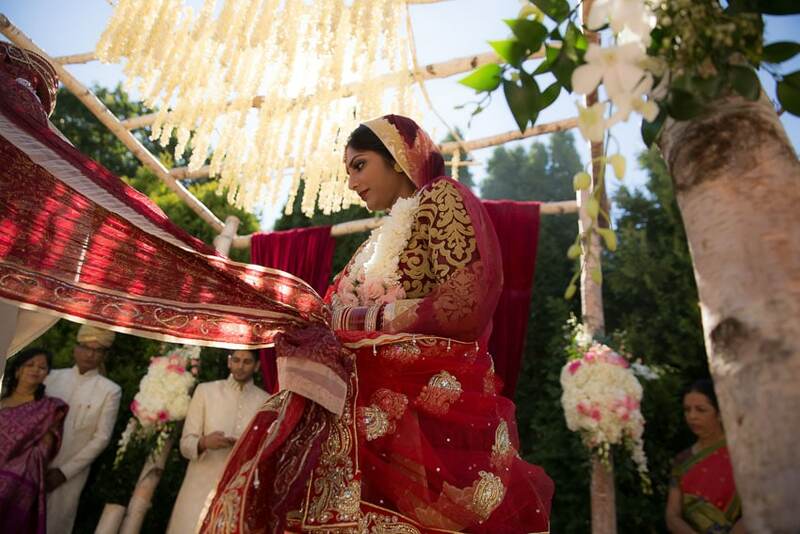 Usually decoration for altar or mandap for Hindu weddings or set up for sikh weddings require about 4-5 hours. 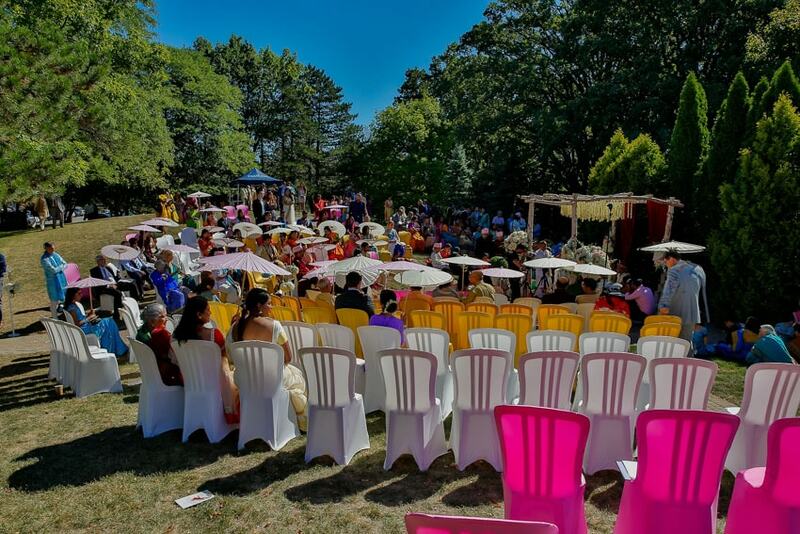 On a windy day, setting up the mandap or altar outside can be challenging. 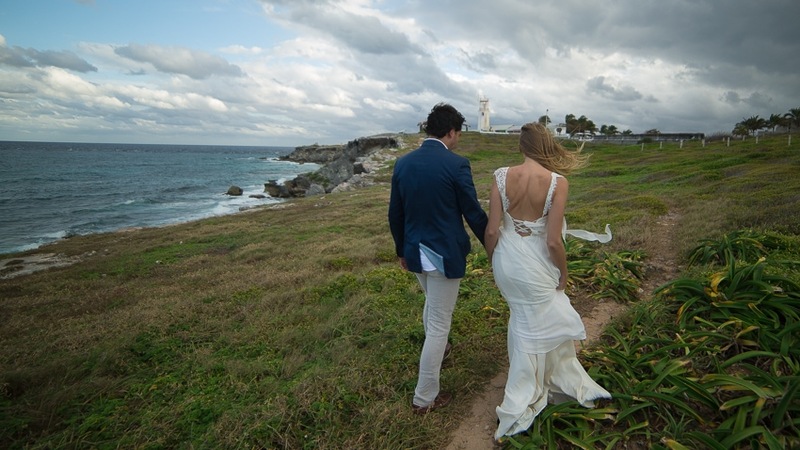 Your decision to undergo an outdoor ceremony may involve risks but it is worth a shot. 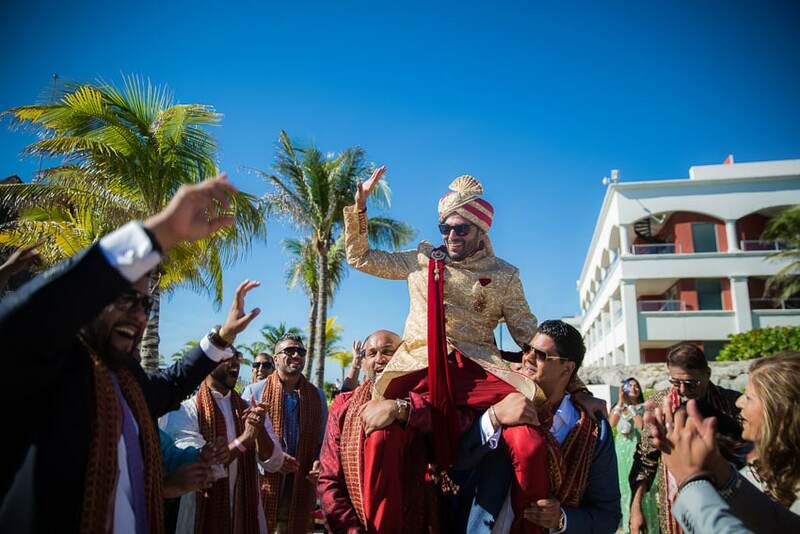 For Indian weddings, Grand Ambassador and Country club woodbridge, which are more of golf course slash estate house, venues are preferable. For surreal sunsets, blue and green water stretches, beach weddings are an ideal pick. 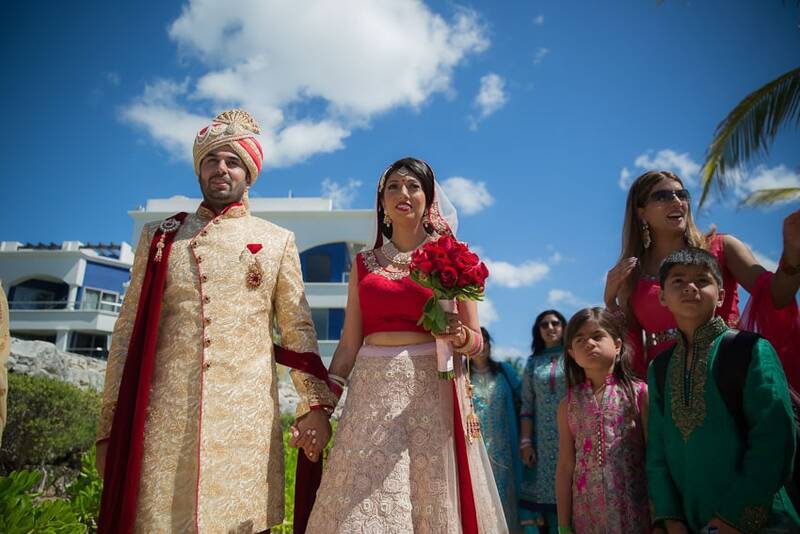 Our team enjoys photographing outdoor ceremonies especially outdoor Indian weddings. You may consult us one on one, to learn more about the ins and outs of outdoor wedding ceremonies. 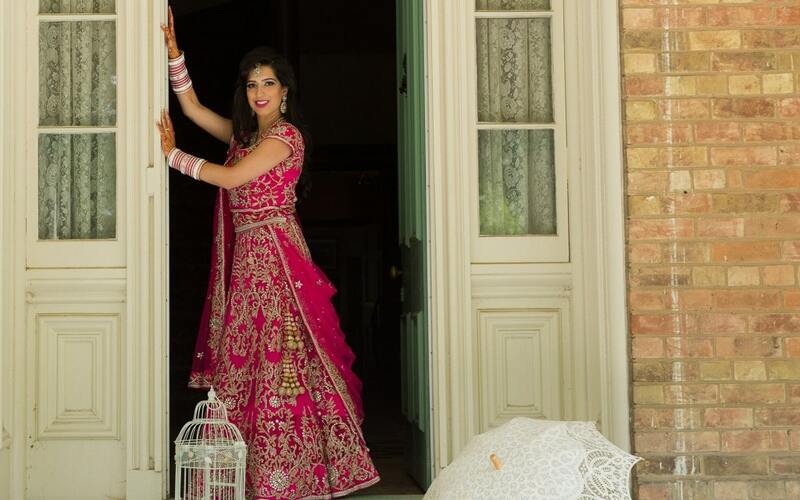 Opportunities are endless if you decide to go for an outdoor wedding, then be it mountains, beaches, estate houses or outdoor castles - Anything is possible, if you have the vision. Although a lot of you may consider that sun is always good for photographing but midsun can create harsh shadows. Overcast days are the best for outdoor ceremonies unless its a sunset wedding. It is best to talk to your photographer as to how comfortable they are photographing outdoors and how they balance light.